Variety Cruises, represented in New Zealand by Discover the World, has released details on new cruise itineraries in the Red Sea, the Greek Isles & Turkey, the Canary Islands, the Cape Verde Archipelago and in Madagascar and its Mozambique Channel Islands. 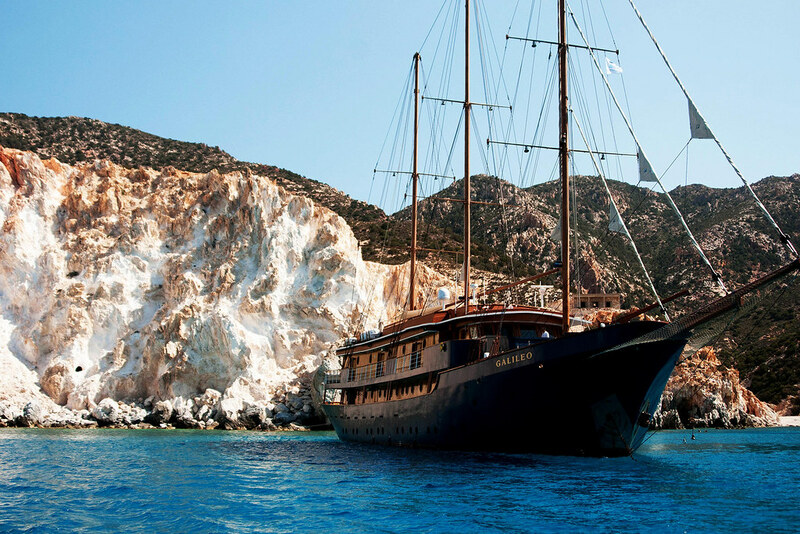 Aegean Mosaic cruise on the 72-passenger Mega-Yacht Variety Voyager. Two new cruise itineraries in the Red Sea will debut in 2016 on the 42-passenger Motor yacht Harmony G. The Kings and Pharaohs cruise from Suez, Egypt to Aqaba, Jordan or reverse and the Splendours of the Red Sea roundtrip cruise from Hurghada, Egypt, two equally fascinating 6-night/7-day cruises will showcase the history and cultural diversity of Egypt and Jordan and the underwater treasures of the Red Sea. Some of the highlights include Luxor, the ancient land of gods and Pharaohs and home to the Valley of the Kings, and the Karnak and Luxor temples, St. Catherine’s Monastery atop Mt. Sinai. Sailing dates: January – March 2016. For bookings, brochures or more information, please contact Discover the World on 1800 OCEANS or email reservations@discovertheworld.com.au. Variety Cruises is one the leading yacht cruise lines worldwide, owning and operating a fleet of 11 Mega Yachts, Motor Yachts and Sail assisted Motor vessels, offering travellers a variety of total yachting experience. Since 1967, Variety Cruises small ships and experiential cruise itineraries embrace each destination by visiting cosmopolitan port of call or unspoilt secluded destinations in a private and relaxed environment. Variety’s intimate ships, which carry just 44-72 guests, dock so close to where guests want to be, they simply step ashore and are amongst all the action. This means, no queues to access tenders and a flexible cruise schedule which allows guests freedom to fully enjoy each port at their own pace. Variety Cruises cruise destinations include: Greece, the Greek Islands & Turkey, the Red Sea, the Seychelles, Madagascar and Mozambique Channel Islands, Costa Rica and the Panama, Cuba, the Cape Verde Archipelago and the Canary Islands.